Britain has shown great diplomatic leadership on climate change and successive governments have had a major influence on action to decarbonise the world’s economy. We believe that the UK’s standing as an international climate leader could recede within months if we were to leave the EU. Membership of the EU has enabled the UK to punch above its weight. It has given us a platform to influence not only the climate commitments of our European neighbours, but also those of the US and China. In the last European parliament, all countries agreed to follow the carbon reduction trajectory set by the UK for the next 15 years. It was a British diplomat who led the European negotiating bloc at the UN climate conference in Paris last year, persuading the EU to champion a long-term goal and a commitment to raise the world’s ambition on carbon emissions reduction every five years. This was agreed by all 194 countries in the final Paris agreement. The UK could not have exerted this influence acting alone. Brexit would damage our national interest by reducing our diplomatic leverage. Never again would a British official be able to play such a pivotal role in climate negotiations. Never again would we be in a position to persuade 27 other European nations to follow our lead. 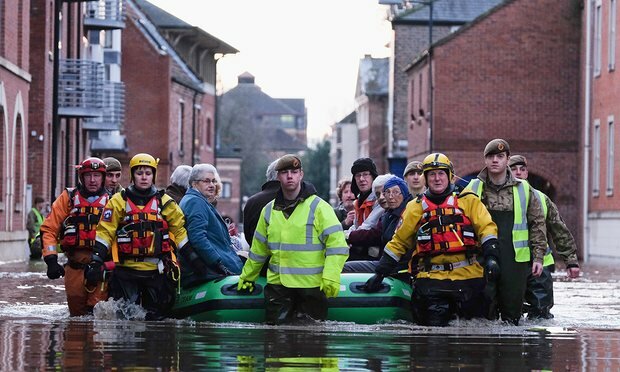 As last winter’s floods have demonstrated, climate change is a real and present threat to the UK. Our experience of the past 20 years leads us to conclude that we are stronger, safer and greener in the European Union.